Proof of the successful completion of the previous grade level. Child of God Lutheran School is fully accredited through National Lutheran School Accreditation and Missouri Non-Public School Accreditation. School accreditation is an assurance of quality. It indicates our commitment to on-going evaluation and improvement. Our accredited status demonstrates we have been observed and evaluated by a team of qualified educators and found worthy of recognition as an accredited school. 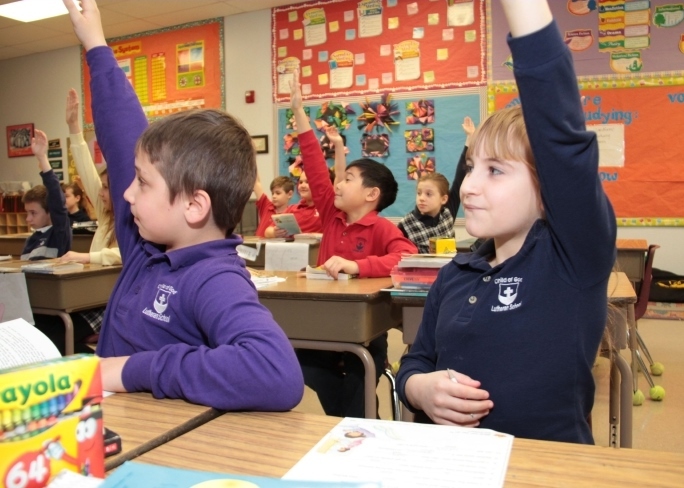 The K-8 curriculum of Child of God complies with or exceeds the standards established by the Department of Elementary and Secondary Education of the State of Missouri and the Lutheran Elementary School Association (LESA). Areas of learning include: Religion (Concordia Publishing House), Reading (Abrams Learning Trends, Open Court, Modern Curriculum Press), Literature (Holt, Rinehart & Winston, Modern Curriculum Press), Handwriting (Zane Bloser), Writing (Scholastic), Spelling, Science (Houghton Mifflin), Mathematics (Houghton Mifflin Harcort), Social Science (TCI/Prentice Hall), Fine Arts (McGraw Hill), Physical Education, Health (Concordia Publishing House), Spanish (Custom Language) and Technology. Each grade level has a curriculum, which has been designed based upon current educational resources, social/emotional learning, leadership practices, creative processing and executive functioning. Biblical principles and teachings are integrated throughout the curriculum in order to prepare children to live as strong Christians within the world. Teachers continually review and revise their instructions for students as part of our promise to provide a quality education. A copy of the school’s learning standards are available in the office. School success is not measured by how well the teacher teaches a lesson or how well the student masters a lesson. Rather, student success is ensured when home and school work together. Parents, teachers, and students must work together if the student is to develop spiritually, physically, socially, emotionally and cognitively. 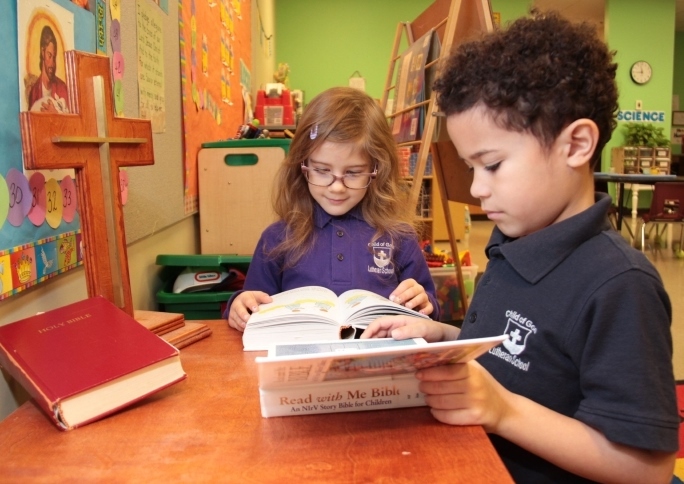 Child of God Lutheran School prides itself on building authentic relationships with its parents, grandparents and guardians to more fully embrace our mission of providing a quality Christ-centered education for we know when we work together we create an environment that has its root in Christian love.